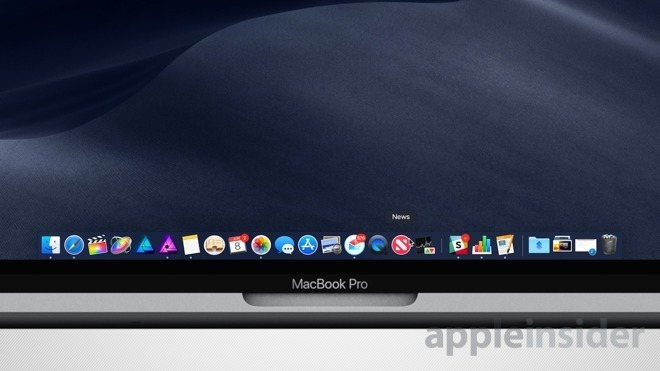 Apple on Monday updated a pair of support documents relating to the release of macOS Mojave, outlining legacy Mac Pro compatibility via graphics card upgrades and support for Boot Camp on certain iMac models. A first document walks users through installing macOS Mojave on the Mid 2010 and Mid 2012 Mac Pros. As mentioned previously, these machines did not ship with GPUs that support Metal — Apple's 3D graphics API — and must be updated before upgrading to macOS Mojave. Apple lists a series of GPUs that support Metal, and thereby macOS Mojave, for those looking to keep their aging workhorses up to date. To check which graphics card is currently installed in a given Mac, press and hold the Option key and navigate to Apple menu > System Information > Graphics/Displays. Compatible cards will show "Supported" next to the Metal entry. A second support document helps resolve the "Installation cannot proceed with Boot Camp configured" alert that might show up on certain iMac models when attempting to install macOS Mojave. This alert appears only on 27-inch iMacs from late 2012 with 3TB hard drives installed and an existing Boot Camp partition. To bypass the message, users must back up their Windows data, then remove the Boot Camp partition before installing Mojave. Apple warns users that after they do perform the removal, they will no longer be able to use Boot Camp to install Windows on their machine.